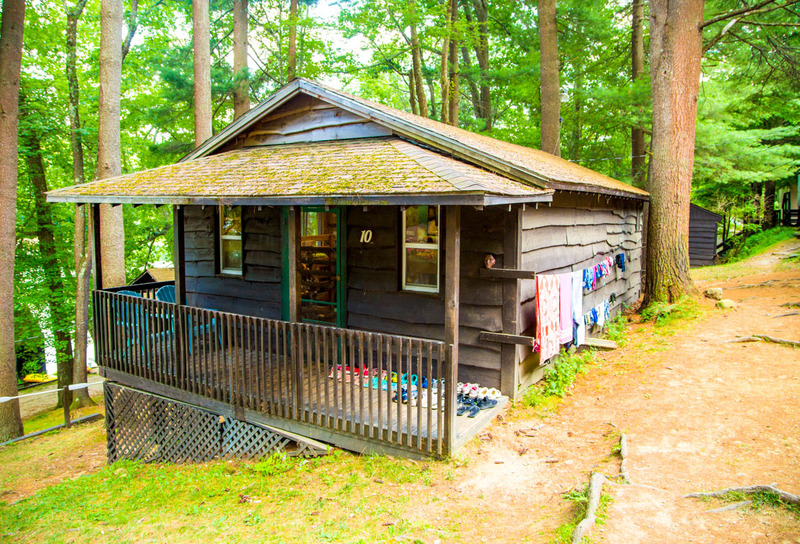 Our 14 cabins are located along shore of Mt Tom. 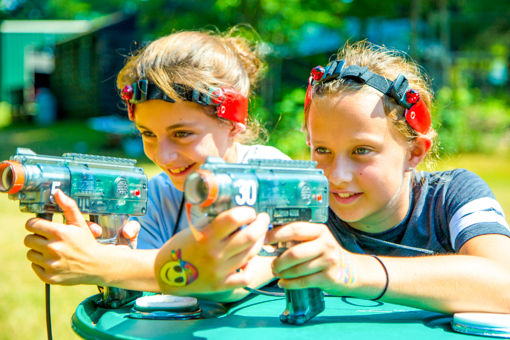 Campers live in carpeted cabins with girls their own age, along with two or three counselors. 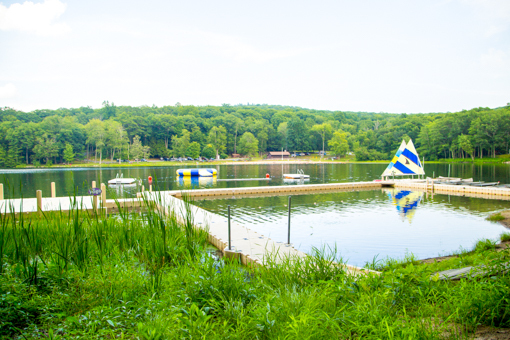 All cabins have ceiling fans, electricity, bathrooms, and personal cubbies. 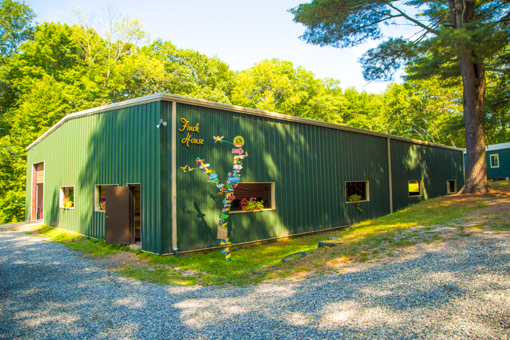 Private shower houses are centrally located. 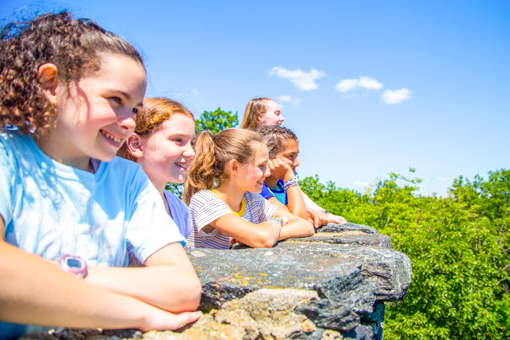 Girls quickly feel at home surrounded by their new friends and role models. 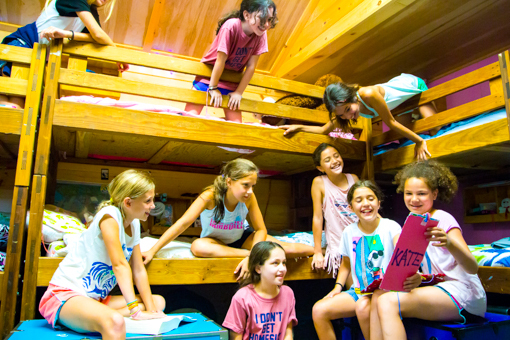 Campers share their cabin with girls who are the same age. 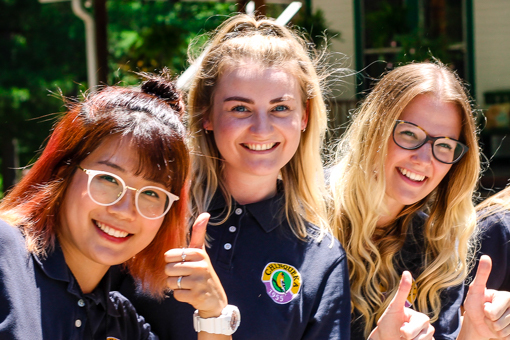 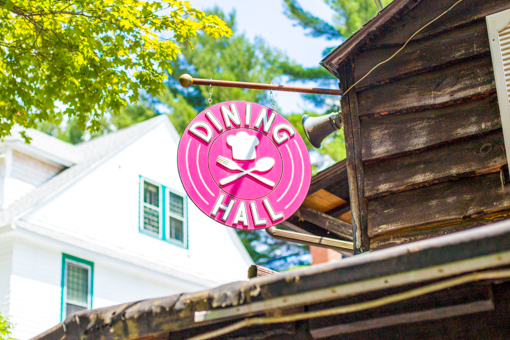 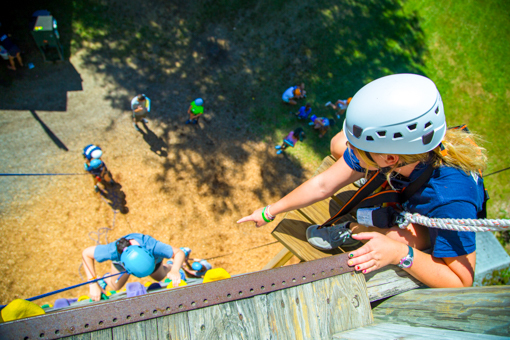 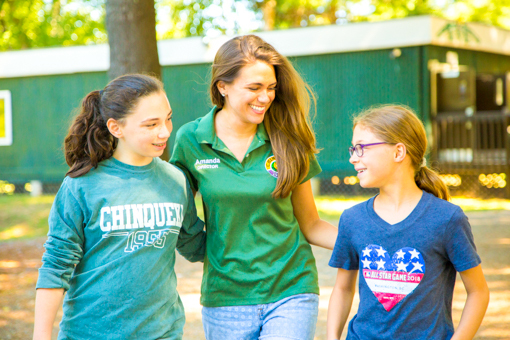 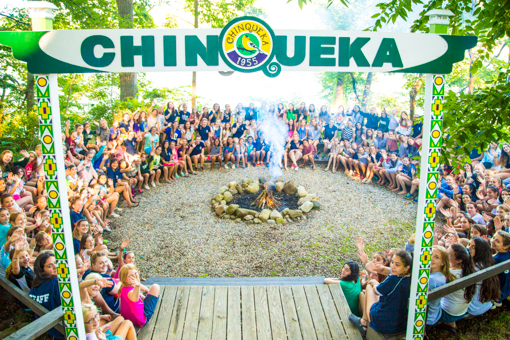 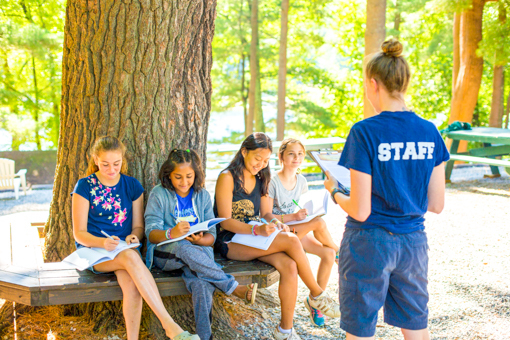 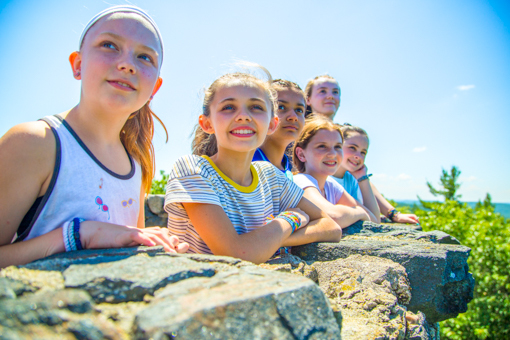 Creating our cabin assignments is a thorough process, as we deliberately place new and returning campers together, and look at each camper’s interests and background. 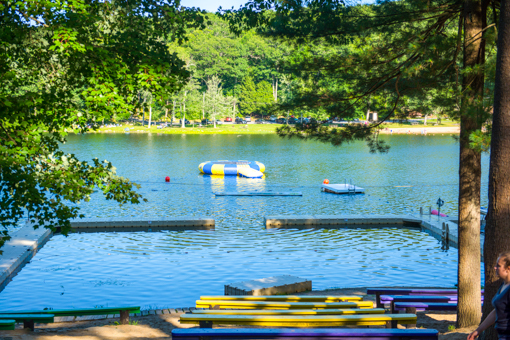 We make sure each cabin feels like a home away from home for your camper. 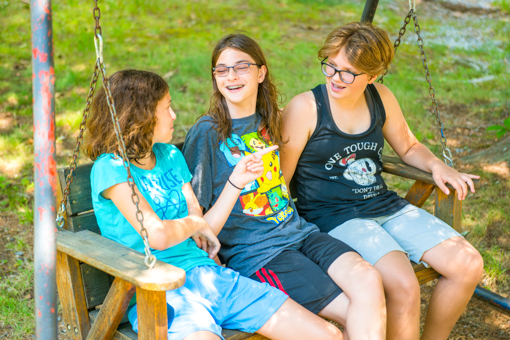 Our campers love spending time with their cabin friends. 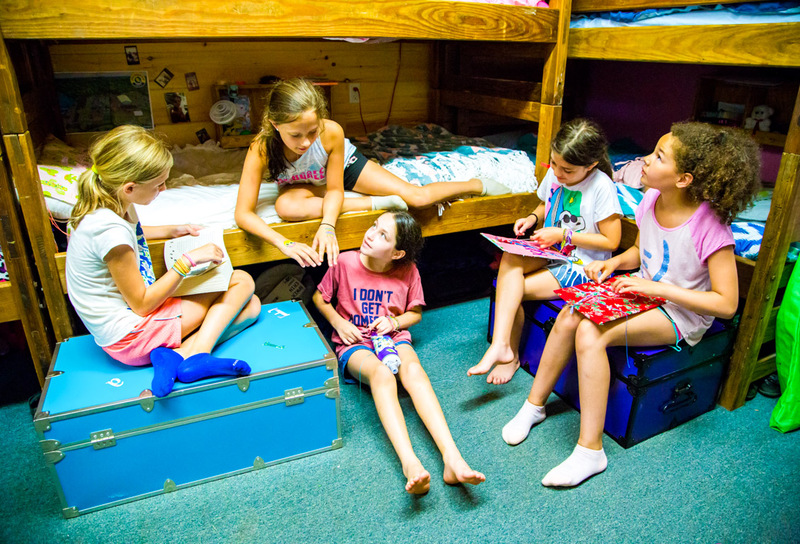 They help maintain their cabin cleanliness each day, rotate through a variety of morning activities together, and spend Rest Hour playing games, working together, and getting to know each other. 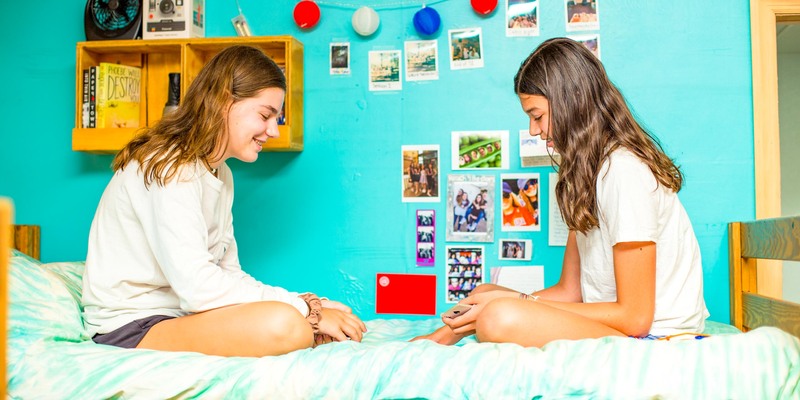 Each evening before Taps cabin mates debrief the day and bond over memories that last a lifetime!